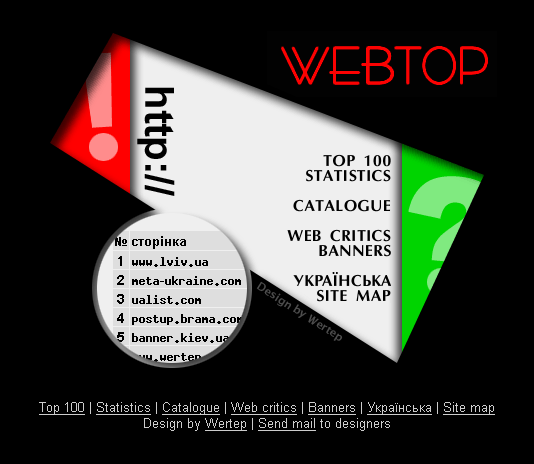 Webtop was a statistics engine that kept traffic ratings for other Ukrainian servers. It was an offspring project at Wertep Company where I worked. The website was designed in 1998 and lasted until 2002, when the Wertep Company itself ceased to exist. Currently, it can be found in the Internet archive. Responsibilities in the project: navigation, layout, graphics, HTML.